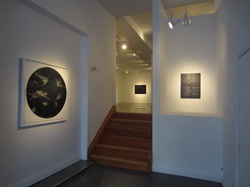 The Stewart Hall Art Gallery is proud to present Vertigo, an exhibition featuring seven artists, whose artworks are a result of extensive visual research – Karine Fréchette, Sandy Plotnikoff, Daniel Hutchinson, Ianick Raymond, Mike Pelletier and Anna Pantcheva, as well as Mathieu Grenier in the project room. Hamilton has a very rich artists’ scene, and a great number of brilliant painters. On the occasion of the AGH centennial, this exhibition features ten artists from the Greater Hamilton area, many of whom are not well-known, showcasing the diverse subject matter, techniques and materials that are of the moment in contemporary painting practices. Fresh from the studios, the exhibition includes over thirty works in landscape, portraiture and abstraction. From lush oil paintings to a sculptural installation, the range of media, form and scale is intriguing. However the psychological weight of the subject matter prevails, as it is activated by the materials. Whether an intimate portrayal of a model, or an intuitive and gestural expression of the environment, the pieces are captivating, powerful, and impressive for their ability to engage the viewer on a subconscious level. Featured artists are Jennifer Carvahlo, Catherine Gibbon, David Hucal, Daniel Hutchinson, Charles Meanwell, Matthew Schofield, Christina Sealey, Beth Stuart, Lorne Toews and Manny Trinh. Thursday, November 13, 7:00 p.m.
Join the artists in a lively moderated discussion about their practices and the paintings in the exhibition. Angell Gallery is pleased to present SUPERABSTRACTION, an exhibition showcasing diverse approaches to abstract art. Featured artists are KENNETH EMIG, BRADLEY HARMS, NEIL HARRISON, DANIEL HUTCHINSON, KINEKO IVIC, DEREK MAINELLA and VESSNA PERUNOVICH. Drake's fall exhibition explores various ways artists capture light, from delicate works in foil, to striking projection; with works by Jay Shinn, Maryanne Casasanta, Daniel Hutchinson, James Nizam and Sandy Plotnikoff. YYZ is pleased to present a solo exhibition by Daniel Hutchinson. Opening reception: Friday, May 10, 2013, 8:00pm-10:00pm. The artist gratefully acknowledges the support of the Ontario Arts Council. Technical assistance provided by Gallery 44, Toronto. Opening and Book Launch: Tuesday April 30 at 6 p.m.
March 2, 2013 to April 13, 2013. An opening reception will be held on Saturday, March 9, 1:00 to 4:00 PM, with an ARTIST TALK at 3pm. Organized by curators Cassandra Getty and Toronto scholar Adam Lauder, this exhibition stages an encounter between historical and contemporary visions of environmental and social crisis. At the heart of this dialogue is the work of Canadian historical painter Joseph Légaré (1795-1855), a Quebec artist whose work challenges common-sense notions of landscape, time and adversity by re-engaging with scenes of calamity. Légaré’s striking disaster paintings, presented for the first time as a focus of a museum exhibition, set the stage for contemporary artists’ interventions within the imagery of catastrophe and activist calls-to-arms. Political upheaval and public anxiety inform artistic depictions of nature’s wrath; likewise art documents emergencies that are man-made. Far removed from the heroic and pristine Canadian landscapes of the Group of Seven, the imagery assembled for Imaging Disaster―including works by contemporary artists such as Martin Golland, John Dickson, Fern Helfand, Iain BAXTER&, Kelly Wallace, and several others―projects a vision of landscape that is thoroughly mediated by technology, distribution networks, and the perpetual threat of tragedy posed by human intervention in the environment. 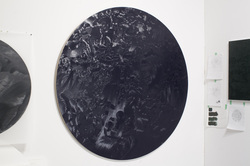 ANGELL GALLERY is pleased to present this year's annual Summer Group Show, titled Summer Session, 2012. Summer Session, 2012 will feature the works of artists such as Kim Dorland, Jon Rafman, Jakub Dolejs, Alex Kisilevich, Alex McLeod, Daniel Hutchinson, Thrush Holmes, Andrew B. Myers, Steve Driscoll, Vessna Perunovich, Andrew Rucklidge and NEW additional artists within the community, such as Stanzie Tooth, Derek Maniella, Rafael Ochoa and Callum Schuster. No Object presents a selection of paintings by Toronto-based artist Daniel Hutchinson produced between 2009 and 2012. Together, these paintings show Hutchinson’s continued interest in the materiality of paint and the virtual, non-locality of images in depicted pictorial space. Included in this exhibition are recent landscapes and seascapes made in the wake of a prolific three-month residency on the island of Gotland, Sweden, as well as architectonic pictures of theatrical spaces verging on abstraction. 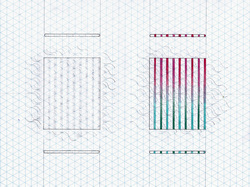 Half-Light over the Baltic Sea opens at Angell Gallery April 23, 2012. View images of the paintings in the exhibition. R. M. Vaughn previews my upcoming solo exhibition "Half-light over the Baltic Sea" as a show to look out for in 2012. The Exhibitions runs from February 23 to March 24, with and opening reception on Thursday February 23 from 6:00 to 9:00 pm at Angell Gallery, Toronto.